Announcement NOW IT'S FREE SHIPPING FOR EVERYTHING! 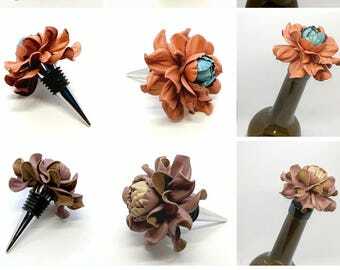 Welcome to Yak Lialia Etsy Shop. 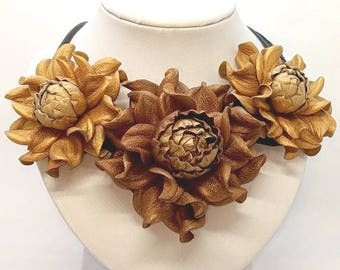 Please, follow me on Facebook https://www.facebook.com/yaklialia/ to be first who gets news about new products and special offers. 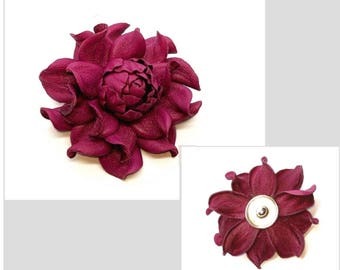 Yak Lialia ('cutie' in Ukrainian) is the shop selling handmade genuine leather flowers. 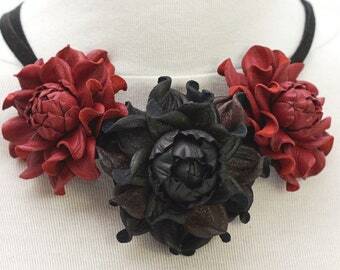 I create my fashion leather flowers in Kyiv, the heart of Ukraine. I use only upcycled genuine leather for my items. The real leather is a flexible and malleable material. 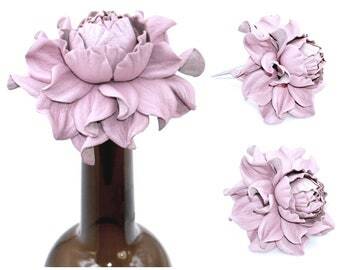 These properties allow to create flowers that closely resemble real ones. 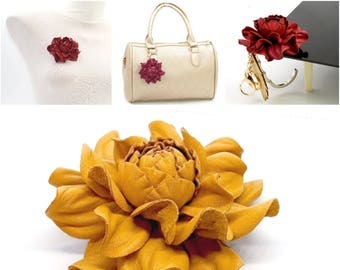 During the production process, the leather is being soaked with glutinous mortar and processed with hot flower-making tools. 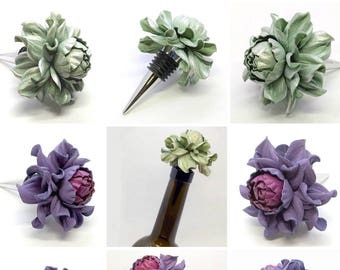 This technique makes the flowers sturdy and durable. 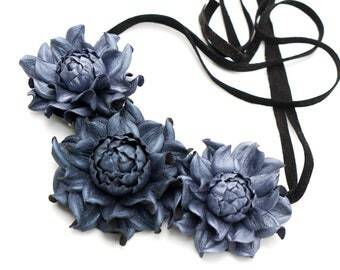 If you handle them with care the real leather flowers could serve you for many years to come. 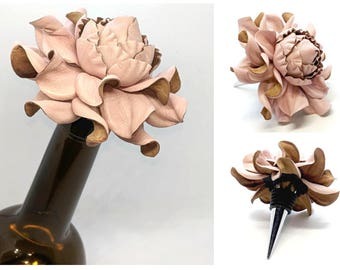 Unlike the faux leather items, the flowers made of real leather look expensive and distinguishing and never go out of fashion. NOW IT'S FREE SHIPPING FOR EVERYTHING! I LOVE IT!!! The actual item is even more beautiful than the picture and the customer service was excellent. Thank you! 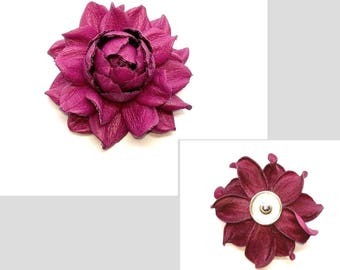 Handmade Genuine Leather Flower Shoe Clips The rose shoe clips make your old pumps and heels look fashionable and new! 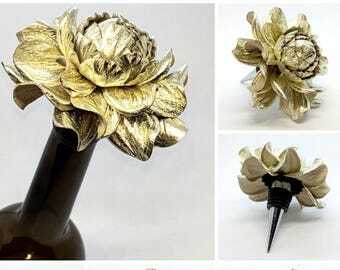 Handmade Genuine Leather Flower Hair Stick + Add on Rosebud & Leaf Absolutely stunning decoration for long hair! 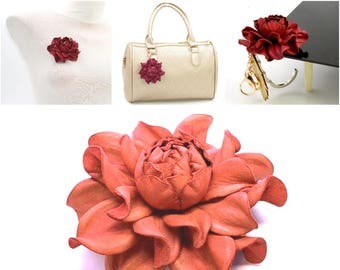 Handmade Real Leather Flower Purse Bag Charms A genuine leather purse flower is a gorgeous decor to your expensive bag! 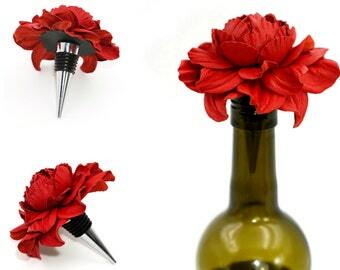 Best Gift Ever for Wine lover! 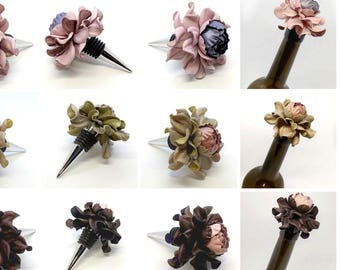 Real leather rose wine bottle stopper is a sweet and useful accessory for wine drinking! 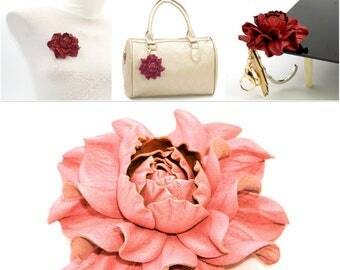 Exclusive genuine leather flower jewelry and accessories would be the best gift for yourself or for your friends. 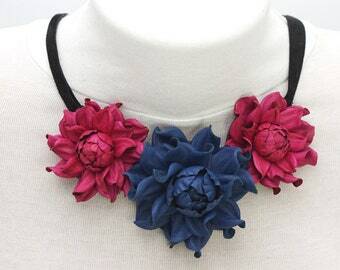 Welcome to my Etsy store. I called it «Yak Lialia», it means "cutie" in Ukrainian. I love leather, it's just a perfect material. 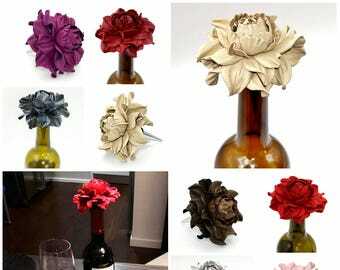 It's malleable but has its own temper, it is durable, longevous and definitely beautiful. Hope you'll appreciate it! The leather items can't be washed or dry cleaned, but they quite resistible to a moisture, dust, low and high temperatures and snow. In the case of getting wet please let it dry upside down on open air, do not use the hair dryer or heater. Please, avoid naked flame and extremely high temperatures to avoid the deformation of the leather. Do not leave for a long time under the direct sunlight, it can cause leather to fade. If the product gets dirty use the wet wipe to clean it or special care products for thin dyed leather. Please, wear and handle it with care. 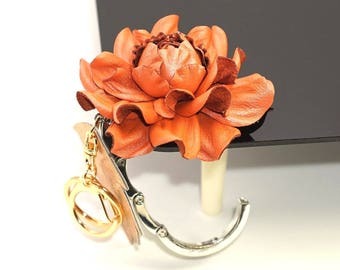 Genuine leather jewelry perfectly absorbs odors and keeps it for a long time, so use your favorite perfume to get more pleasure wearing this accessory. 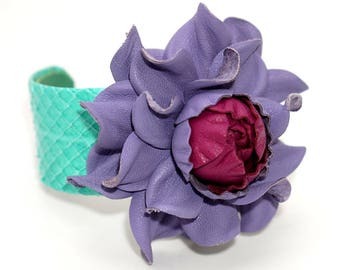 Please, do not hesitate to contact me if you want to purchase any genuine leather jewelry made of any color of the real leather which is presented in Yak Lialia Shop. 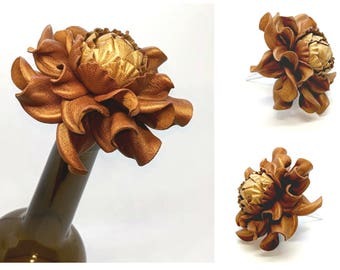 Just send me 2 links: a link to the item needed and a link to a leather color example. Besides, I have a huge color collection of real leather, so if you want some special shade, please, contact me for this issue. 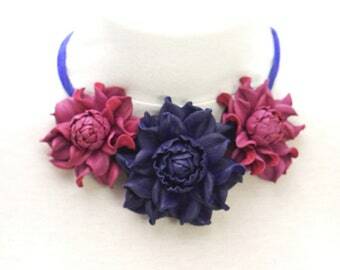 I can create a custom order for you and fulfill it during next few days after your payment. 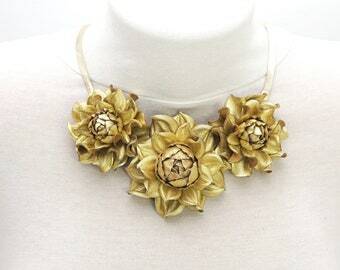 Yes, I sell the leather jewelry in bulk and you can contact me for the wholesale price issue. 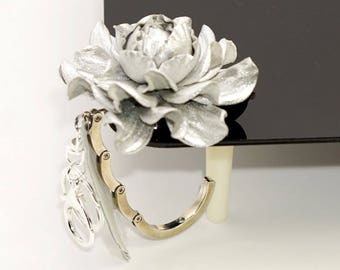 A wholesale discount for the leather jewelry depends on the total amount of the order.